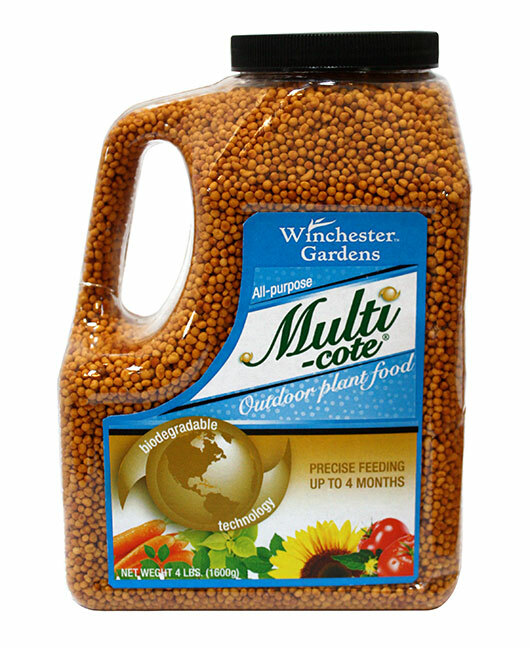 Winchester Gardens Multi-Cote® All-Purpose Outdoor Plant Food features biodegradable technology and a convenient shaker top. This slow release 18-6-12 NPK formula helps provide continuous, balanced nutrition for up to 4 months. Use 2 tablespoons per square foot of soil surface. Apply evenly over the root zone. Work gently into top 1/2 inch of soil surface. 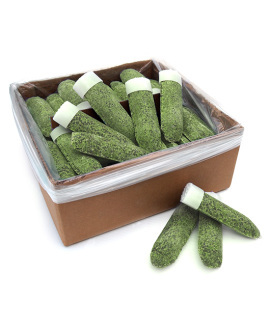 Use 1-2 teaspoons for 4-8 inch containers (1 tablespoon for 1 gallon container, 3 tablespoons for 3 gallon container). Apply evenly over the soil surface. 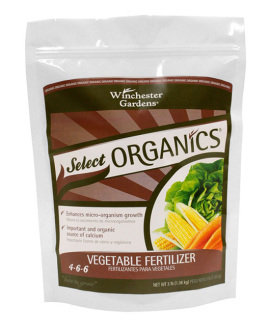 Use 5 tablespoons per 10 square feet of soil surface. Apply evenly within the drip line. Work gently into the top 1/2 inch of the soil.